USDCAD is under the influence of some economic data such as Bank of Canada Monetary Policy Report and Interest Rate Decision. USDCAD fell towards the weekly pivot point at first and then rose yesterday but there was a pullback today again. 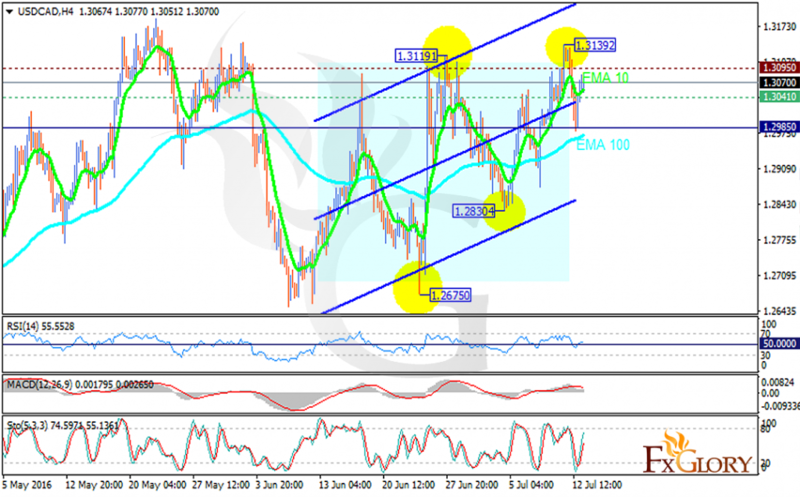 The support rests at 1.30410 with resistance at 1.30950 which both lines are above the weekly pivot point at 1.29850. The EMA of 10 is located above the EMA of 100 and it is moving with bullish bias. The RSI is moving on the 50 level, the MACD indicator is in positive territory and the Stochastic is showing upward momentum. The support level breakthrough will smooth the way for further low at 1.2460.